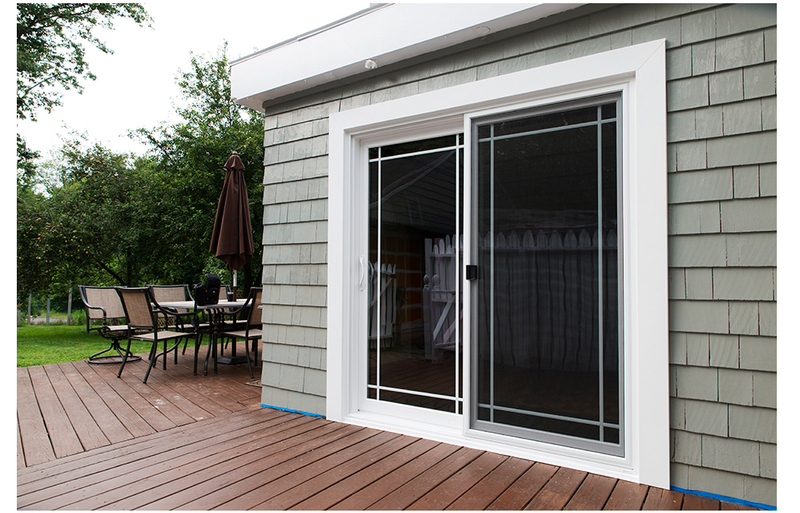 Whether you're relaxing outside or just taking pleasure in the view of the outdoors from the comfort of your home, you can enjoy more of your backyard, deck or terrace thanks to the sliding patio door. A patio door can also give you a feeling of expanded living space and connection with nature. Probably, it is the largest after the garage door, opening in your home. And more than likely, it is the weakest link in the energy envelope of your home. As a result your energy bills might be higher and your family’s comfort compromised. Patio doors can also be a weak link in security. Fortunately, you can take the decisive steps to solve these problems. 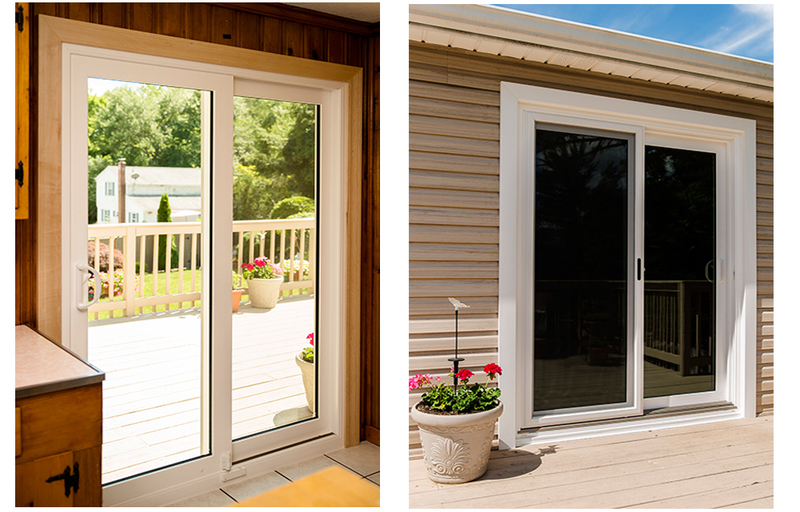 Today, you can buy a patio door that is strong, energy efficient, air tight, stylish and yet affordable. The most common problems with old patio doors. The benefits of buying a high quality sliding patio door. Stylish sliding patio doors of outstanding quality, energy efficiency, durability and value for the money. Heat loss through the glass and discomfort. If your door has inefficient clear glass, the radiant heat from your furnace can escape freely through the glass. You may be losing hundreds of dollars every year. Plus, the cold entering your home makes the area in the vicinity of the door uncomfortable. Most often, this happens in the dining room or kitchen areas. The first reason is closely related to the cold energy inefficient glass. Some people attribute drafts to leaky doors when in fact they are the result of cold air patterns initiated by cold window surfaces. Air next to the door glass is cooled and drops to the floor. It is then replaced by warmer air from above, which in turn is cooled. This sets up an air movement pattern that feels drafty. The second reason is related to actual drafts around the window opening. Many times when we remove the old door, there is very little or no insulation between the door frame and the stud. And many homeowners are shocked to see the light coming through after the removal of interior trim. The third reason has to do with poor design of the door itself. Poorly designed weather-stripping and seal system wears off quickly. Moreover, insufficient amount of weather- stripping further contributes to increased air infiltration. The fourth reason is related to the difficulty to fully close the door. And because the door is so hard to close, some people do not close it properly. This allows yet more drafts coming in. Difficult to open and close. Many aluminum doors and heavy wooden patio doors with rotten sashes are extremely difficult to open and close. Some homeowners are frustrated because they have to struggle to slide the gliding panel in its tracks so that it can be closed. Foggy glass that can’t be cleaned. Foggy glass is usually caused by the failed seals in the insulated glass unit. When this happens, regular air enters the space in between the panes of glass and condensation occurs. Rotting wooden frames. This issue is common on doors with the water penetration problems. Sometimes it is caused by an incorrect door installation. Other, times older wooden door simply didn’t stand up to the harsh weather conditions. Problems with the screens. Many customers complain that screens, too, are difficult to close. Also, derailments and screen frames that simply fall apart are not uncommon. Some people also complain about screens obscuring the view. Excessive heat during summer months. 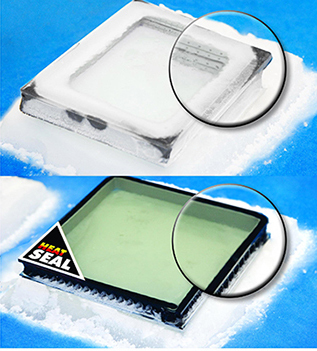 Clear glass acts almost like a magnifying glass by allowing all the infrared solar radiation into your home. This radiation makes already warm rooms feel even warmer on hot summer days. First, their cheap weak locks are usually made with brittle castings that will break under light pressure from the prybar. Third, they are made of glass that is easy to break. Compromised appearance of the entire house. 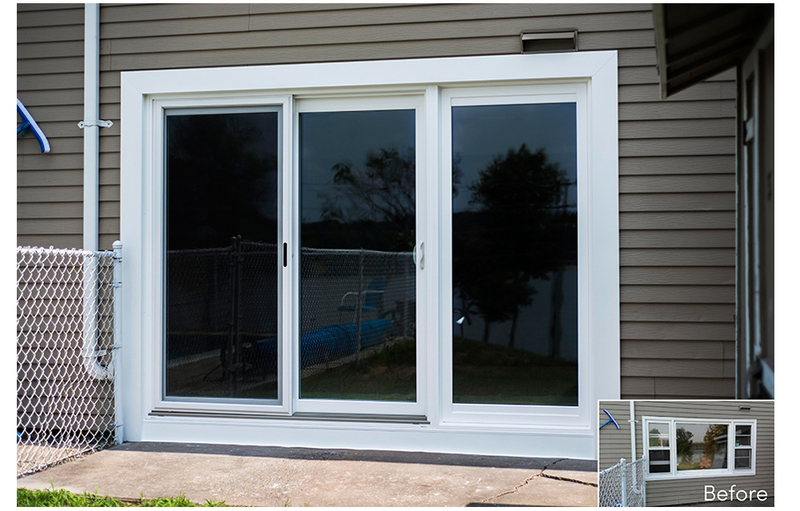 If you have one or more of the above problems with the patio door in your home, it is more than likely that the old door compromises the overall look of the home’s interior and exterior. You may be making a decision to purchase new sliding glass door based on the energy it saves. However, the comfort provided by high-efficiency doors is, in our opinion, even more compelling reason to replace the old door. Although energy-efficient glass door can make up for its cost by saving on energy bills, the increased thermal comfort it offers in winter and summer is a benefit that begins immediately. Energy-efficient sliding doors save energy year round both on heating and cooling, thus they lower your energy bills and your carbon culprit. Tired of struggling to open and close your patio door? Frustrated with the screen derailing out of the tracks or getting stuck? The good news is that with new professional-class patio doors, these problems solved. A high quality door has self-leveling tandem rollers that will, when adjusted properly at the time of installation, provide years of easy gliding and worry-free operation. Plus, heavy-duty screen usually has four adjustable rollers for smooth gliding. With the minimal maintenance effort on your part, a new sliding door will provide years of trouble-free operation and save you time, so that you can spend more of it with your loved ones. If your old patio door has foggy glass that blocks the light and obstructs the view, consider purchasing a new door. You will certainly appreciate the new cleaner view to the outdoors and an instant feeling of light. Plus, the cost of fixing of just the insulated glass may be a big chunk of the cost of the new door. Therefore, investing in a whole new door may be a better economical decision for the long-term. 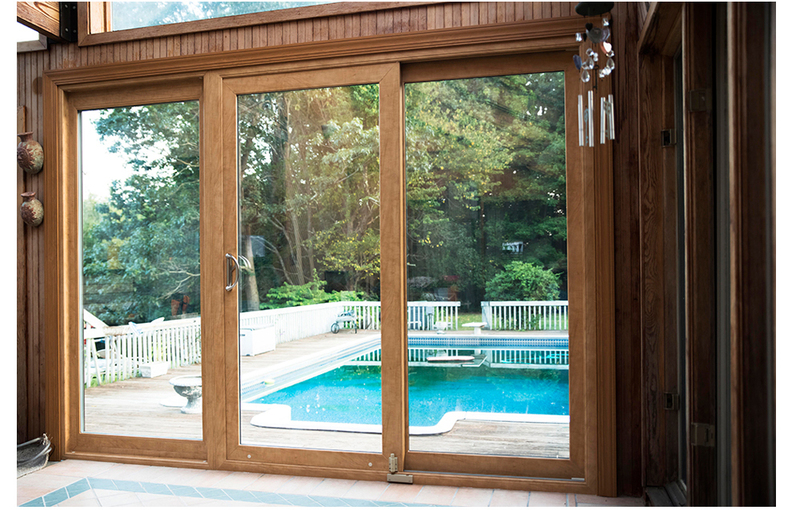 New patio doors are a perfect addition to any Connecticut home. 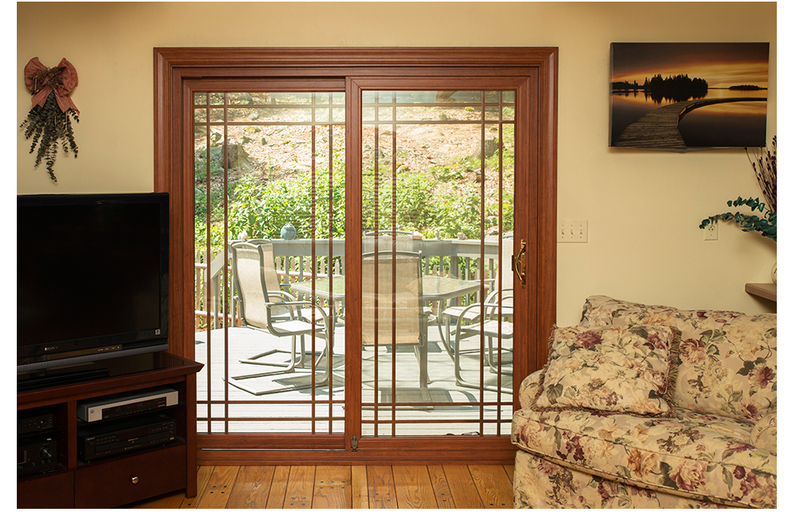 The new patio door designs are neat and clean with styles ranging from: modern, classic to french sliding door styles. 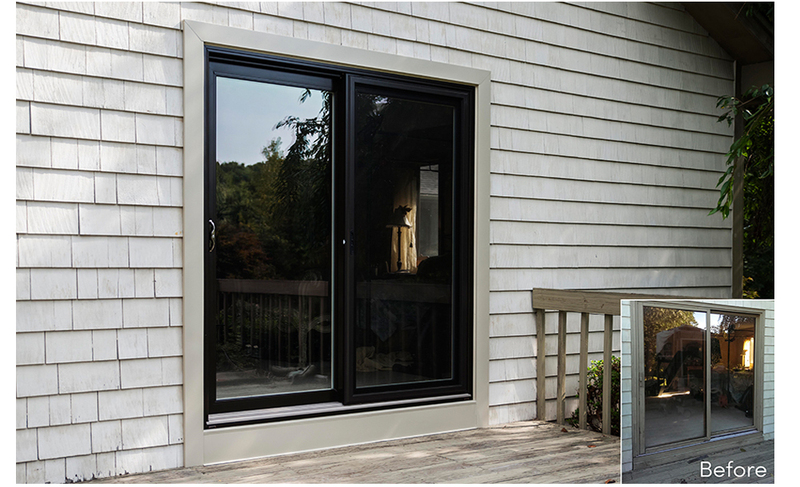 When installed correctly and with attention to details in the interior and exterior finish, a new patio door will certainly enhance the beauty of your house. Also, shopping for a new patio door is a perfect time to consider changing current color scheme of your door or adding decorative options such as colonial grids or cut glass. 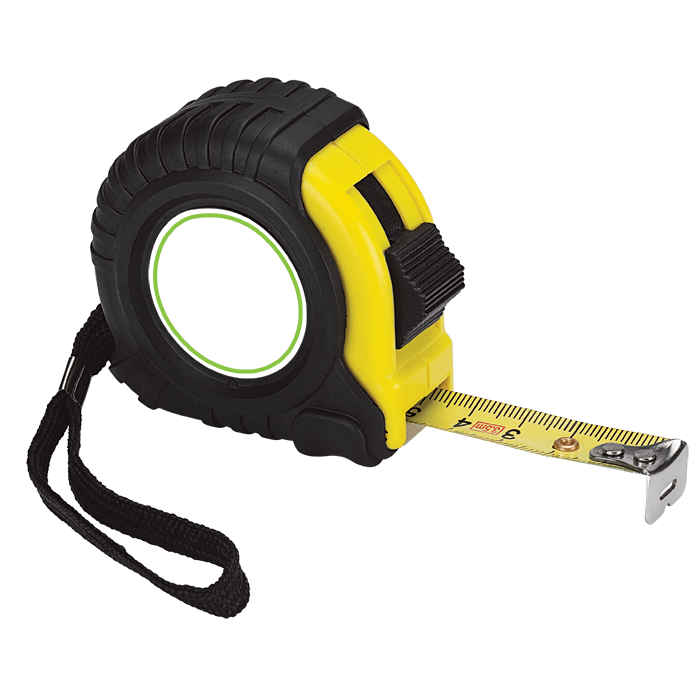 Insulated, thick 4mm glass with HeatSeal Spacer will give your home excellent thermal efficiency and drastic reduction of condensation. Interlocking meeting rail system with quadruple weather-stripping for controlling of air, water, dust, and noise. Full-length heavy gauge reinforcements in meeting rails and pull rail provide great rigidity and strength. 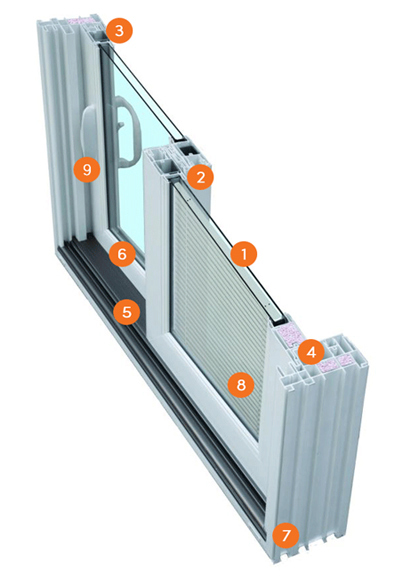 Foam-filled insulated extrusions for better thermal efficiency of the frame. Anodized aluminum screen track, roller track, and threshold for increased strength, durability, and longevity along with an elegant appearance. Thermally welded multi-chambered 5 5/8" main frame provides superior strength and thermal insulation. Heavy-Duty 2-Point Lock for enhanced security. 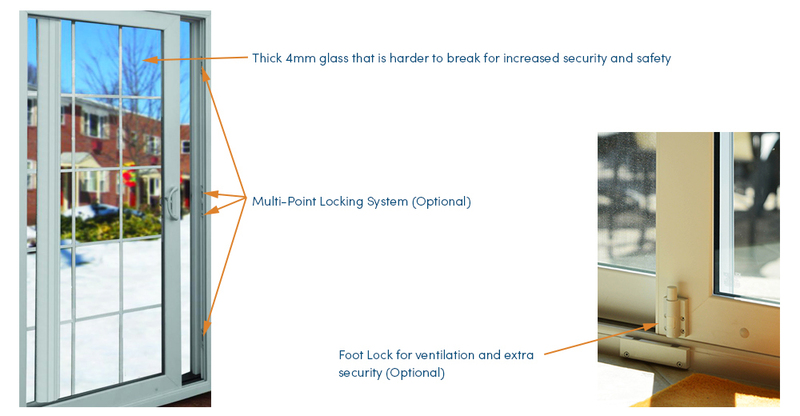 4-Point Lock is available for even more security. Most patio doors are manufactured with a metal spacer in between the panes of glass which may cause excessive condensation and heat loss at sightline. HeatSeal® Non-Metal Spacer creates an excellent thermal barrier and reduces the transfer of heat and cold into the home. 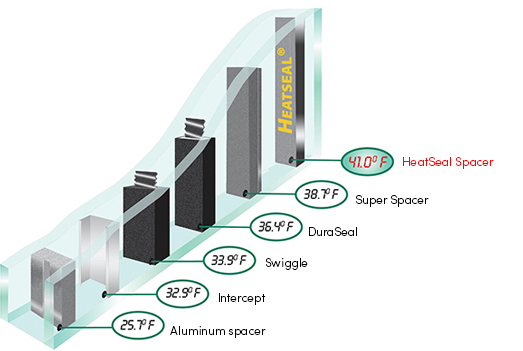 HeatSeal® Spacer gives your home excellent thermal efficiency and drastic reduction of condensation. As much as 15.3 F warmer seal temperature at sightline. 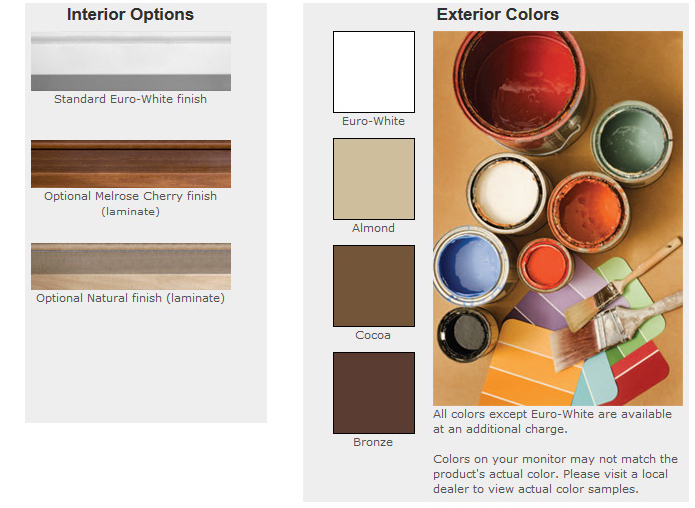 You can choose from three exterior colors in addition to the standard Euro-White option to give your home a distinctive look and enhance its curb appeal. You can also special order custom exterior colors from a virtually unlimited selection of paints. They are environmentally safe and durable, giving your exterior a vibrant and long-lasting color finish. 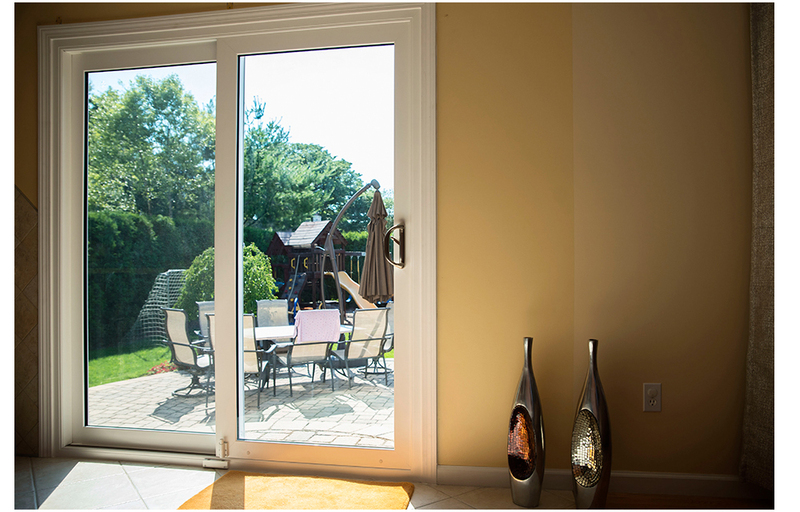 To help you with the design ideas for your patio door project, we selected several photos of the projects that we completed in Connecticut. Most of the doors in the images below are OKNA Elegante sliding doors. Okna Elegante sliding patio doors strikes a perfect balance between the beauty of the classic and stylishness of modern designs. And although whether something is stylish or not is a matter of personal preference, rest assured that when you buy OKNA Elegante sliding patio door, you will get some of the most energy-efficient, most durable, and most air-tight sliding patio doors available on the market today. When you make this type of investment in your home and the comfort of your family, doesn’t it make sense to buy a quality, super energy efficient sliding patio door that will last for a long time? For a free estimate in the comfort of your home call 860.357.5177 or click here.